Around 3% of students in higher education are autistic and universities are working hard to listen, understand and meet their needs. But the fact that autistic students can become autistic academics appears to have gone unnoticed. Autism research is still dominated by approaches which treat it as a “disorder” or a “deficit”. Research funding prioritises this “basic science” over work which approaches autism as a “natural human variation” or just difference. At the same time, though, autistic people and their allies are challenging attitudes and assumptions which stereotype, alienate and deny humanity. My research aims to give a voice to academics who identify as autistic, Asperger’s or on the autism spectrum. It focuses on autistic academics’ experiences of research, teaching and being an employee in higher education. Men and women of all ages have already contributed – and they have expertise in fields as varied as sociology, genetics, mathematics and politics. Obviously my findings do not speak for every autistic person, because everyone is different, but most people who have taken part believe their autism has helped them in certain areas of their work. For instance, participants talked about how they feel their autism makes them good researchers, because of greater focus, closer attention to detail and, in some cases, an enhanced ability to systematise and see patterns. On the other hand, social difficulties can inhibit attendance at academic conferences. Networking and collaborating with other researchers might also pose problems, again because of social difficulties. Turning to teaching, a number of respondents highlighted their logical, organised approach and maintenance of focus. Several also felt that awareness of their own difficulties made them more responsive to students’ own struggles. Attention to detail, precision and structure were emphasised again, and one respondent talked about how students appreciated an “undimmed enthusiasm for my subject”. But a substantial proportion also felt their autism had negative impacts on their teaching. These included concerns about eye contact, tone of voice and body language, and problems with confidence and anxiety. Once again, several mentioned the obstacles posed by social interaction with students and colleagues. Employers are becoming increasingly aware of the fact that employing autistic people makes good business sense. But less than half of those who have taken part in this study have disclosed their autism to their employer – the university. Many of those who have not disclosed expressed fears of stigma or discrimination. And some of those who have disclosed only did so because they felt the need to explain a particular event or behaviour – which suggests these people didn’t disclose their autism willingly. And this apparent reluctance to disclose may well be justified. As employees, some autistic academics have experienced bullying, harassment and direct discrimination. One participant was also angry about the way some colleagues spoke about autistic students as a “nuisance”. Many respondents talked of difficulties when interacting with colleagues, and of finding rules and structures hard to understand. My research has also highlighted the issue of working environments that cause problems for people with sensory hypersensitivities – such as open-plan offices. 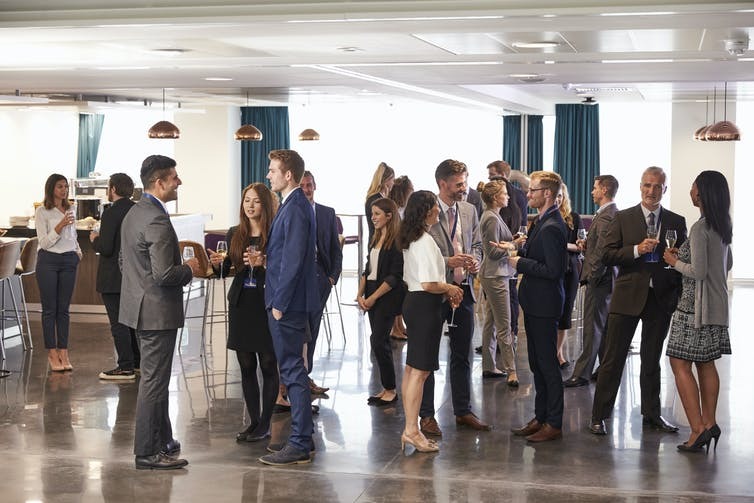 A number of participants also said that they felt they would struggle to progress because they are uncomfortable with things like networking. One emphasised how difficult it can be to operate in an environment dependent on “unwritten agendas, power games and influencing people”. Research has shown how disabled people can be put at a disadvantage because employers want “organisational fit”. And in much the same way, autistic people are “locked out” of careers because they are different. Although autistic people might not describe themselves as disabled, the Equality Act can be used to argue for reasonable adjustments such as changes to the working environment or reviewing job descriptions and tasks – and some respondents had indeed requested such adjustments. Some of these requests were rejected, while other people encountered resistance – while people who had not disclosed their autism were of course not in a position to make such a request. Ultimately, higher education needs to acknowledge that autistic academics have a lot to give – and with this needs to be an understanding that autistic academics might have different needs in the workplace. This will mean that steps can then be taken to create a higher education working environment which opposes stigma and discrimination – while also understanding and welcoming differences. Ideally, this would include accommodating and adjusting for the needs of all employees as well as taking specific steps to ensure genuine autism equality in the workplace.